Who is mad? Kurtz, Willard, Kilgore? All three of them? The Americans in general, probably? You may know or not know how dear is to me everything that touches Cambodia and Vietnam. 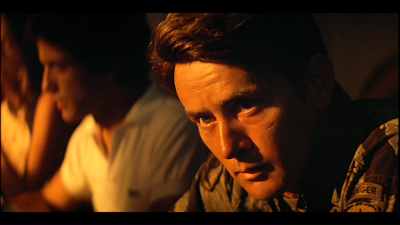 A film like Apocalypse Now could only have a deep impact on me. 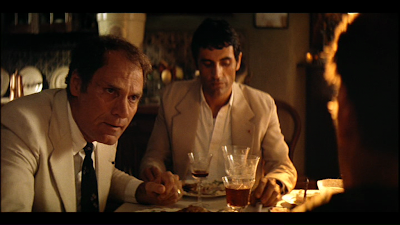 Until last week, Apocalypse Now had been a gap in my culture. I finally dived into it - cautiously, at home, over four days, ingesting this masterpiece bite by bite. I had indeed strong but mixed feelings about it. But I thought the first two hours of the film were outstanding, building an inimitable atmosphere of palpable absurdity and madness right from the first scene, building two fascinating characters: Martin Sheen's breathtaking interpretation of Willard and Kurtz's character built up in the shadow, through Willard's fantasies and a couple of sentences from his voice in an audio recording. The depiction of the war's horrors gave me shrills in the spine. I couldn't always stand the intensity of the horror and had to stop several times because of it... But beyond the constant horror, the theme is the absurdity of the war which explains the desperation of the soldiers and the madness of their officers (or does it stem from it?) 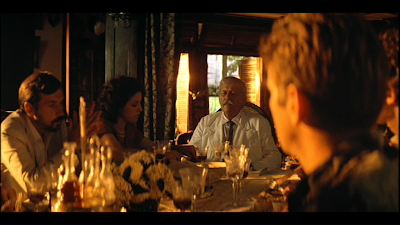 The scene in the French plantation was critical from this point of view, because of the reflection on the war which it allows at that point in the movie. This is our home, Captain. The Vietnamese are very intelligent. You never know what they think. brothers." They hate the Chinese! that the Russian and the Chinese. Don't you understand? The V.C. American, that's all the same. "Go!" They want to forget you. something, something out of nothing. together. We fight for that! I saw the Redux version indeed and I agree with you fully: the French plantation scene is ESSENTIAL! I could sustain this movie only one time, although I consider it as one of the most impressive anti-war movies of all times.